When I started cloth diapering my first son, I thought about how many chemicals were in disposable diapers and how I did not want chemicals around my baby. Then I realized some of those same chemicals are found in disposable pad and tampons. I began to look for an alternative to tampons and pads for that time of the month. I then came across Mama Cloth. I was instantly hooked, just like I was with cloth diapers! Just like cloth diapers, they are safe, Eco friendly, reusable, and down right adorable! Once I found out I was pregnant, I began to search for Postpartum Pads. That's when I came across Orgo Pads. Orgo Pads was created for women to balance their menstrual cycle, improve there health, save money and environment. Orgo Pads is a wahm (work at home mom) based company. I am a huge supporter of wahm brands. I reached out to Vanessa, the wahm behind Orgo Pads. I told her how I was about to have a baby and was searching for Postpartum Pads. 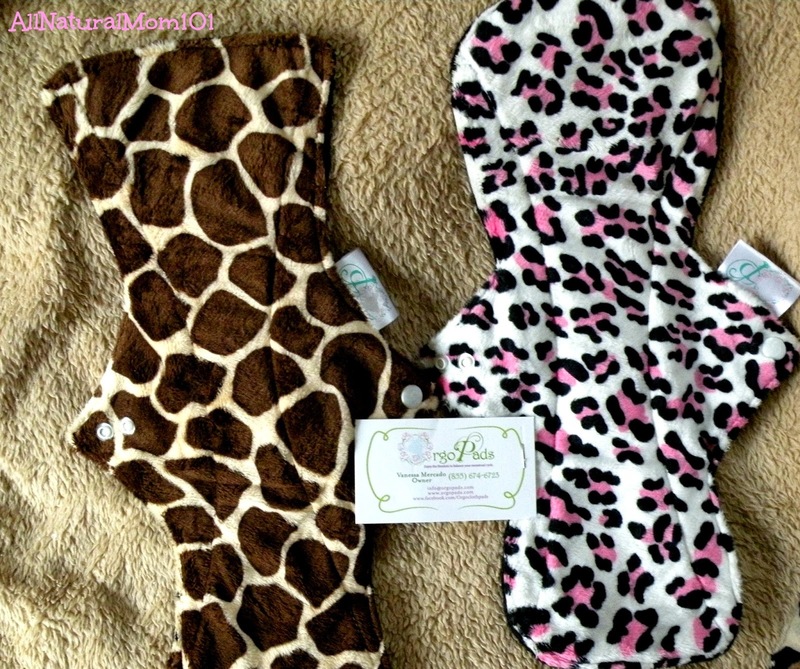 That's when she sent me two, both round and square 13.5" Postpartum Pads to review. 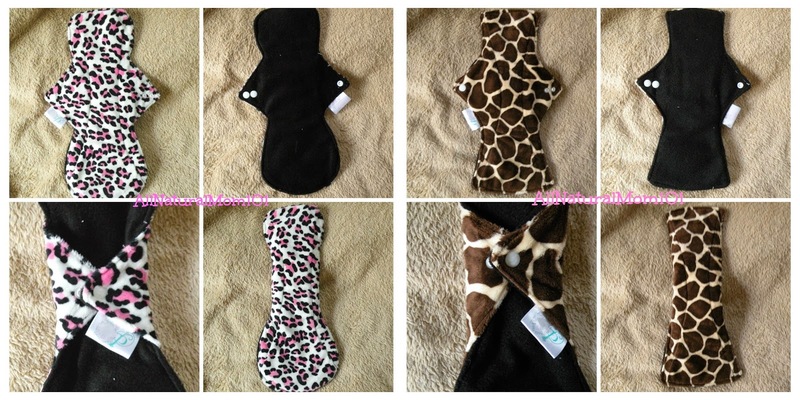 These 13.5" x 3.5" pads are made with 2.5 layer of zorb for absorbency, topped with either Minky, Flannel or Cotton and are backed with fleece. I love the Minky on both of my Orgo Pads! Super soft and extremely comfy, feels like I'm sitting on a fluffy cloud. I also compared Minky with my other pads and noticed that it doesn't stain as bad as other fabrics. Overall, Orgo Postpartum Pads worked great for me! No leaks what so ever. These have now become my over night pads for that time of the month. If you are looking for something chemical free, Eco friendly that has extra protection for that time of the month. I would hands down recommend Orgo Pads. Why waist your money on gross, chemical filled, disposable, ugly pads when you can save money and wear cute and comfy Orgo Pads! Disclaimer: I was given the products in this post for the purpose of my honest review. I was not paid in any way to write this review. Review is Sponsored by Orgo Pads.